CakeLab is a small multi-disciplinary graphic design studio specialised in typeface design, lettering, typography and corporate design, founded by Pieter van Rosmalen in 2005. CakeLab works and worked for clients like Audi, Flower Council Holland, International Jazzharp Foundation, KPN and NBCUniversal and design agencies like Studio Dumbar (Rotterdam), Koeweiden Postma (Amsterdam), Meta Design (Berlin), Teldesign (Rotterdam), Mother (New York) and Wolff Olins (New York). Pieter studied advertising and graphic design at St. Lucas college in Boxtel and typography and type design at the postgraduate course Type and Media at the Royal Academy of Art in The Hague. 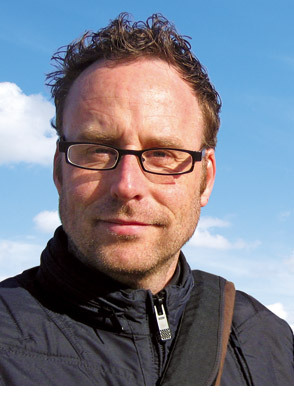 He worked at several advertising and design studios, among which Het Hoofdbureau in Amsterdam and Teldesign in The Hague. In 2004 he founded type foundry CakeType as a venture to sell his typefaces, t-shirt designs and booklets and in 2008 Bold Monday was founded together with business partner Paul van der Laan. Ester studied advertising and publication design at St. Lucas college in Boxtel and Graphic Design at AKV | St.Joost Breda. She worked as graphic designer and project manager at Barlock, the Hague and currently works as graphic designer at Comma-s Ontwerpers in ’s-Hertogenbosch. All rights reserved to CakeLab except (design) work done while at or commissioned by other graphic design or advertising agencies. No information of this website may be reproduced, copied or in any way reused without permission from CakeLab. CakeLab does not accept any responsibility on the information given in this website. This website is designed by CakeLab and build in WordPress by the wizards of Webzovoort, thanks!